Pneumasomatology: (New-ma-so-ma-tol-o-ge) or Angelology, as it is commonly known, is the study of Non-Corporeal Intelligent Spiritual Energy Based Life Forms. Eupneumasomatology (you-new-ma-so-ma-tol-o-ge) is the specific word for the study of Angels, while Kakpneumasomatology (kack-new-ma-so-ma-tol-o-ge) is the study of Demons. But in the common vernacular, Angelology is suitable for referring to the study of all Intelligent Spiritual Energy Based Life Forms. (Eupneumasoma) (you-new-ma-so-ma) Angel, from the Greek angelos, literally a “messenger” Angels are intelligent non-corporal (non-physical) Spiritual Beings that exist within the Spiritual Plane/Dimension. 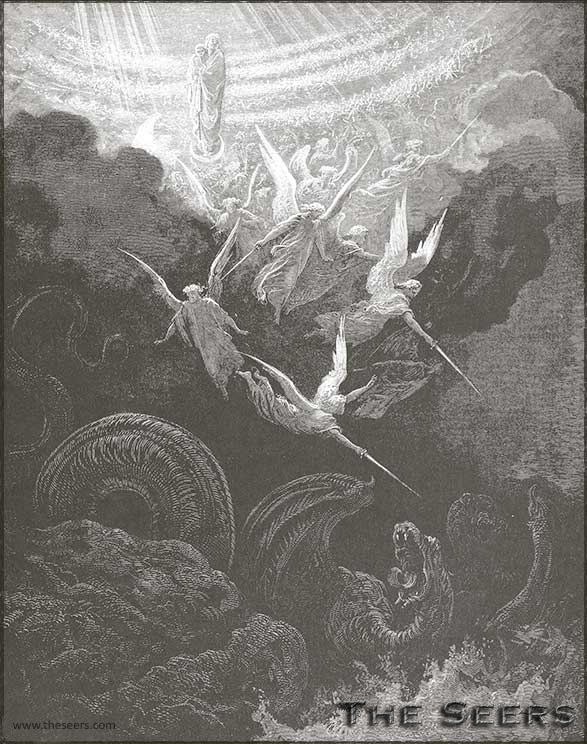 Powers, Principalities, Rulers, Dominions, Messengers and Spirits are also other names for both Angels and Archangels. The “scientific” word Seers sometimes use is: Eupneumasoma, which simply means “good spirit body”. Welcome to a new world where science and spirituality are not separate, but coexist on opposite ends of the same spectrum. 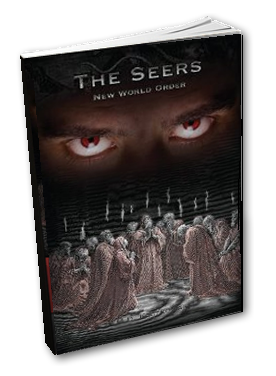 With the release of the first Seers book, The Seers – New World Order, creator M.D. Kaczkowski tears down the hidden barrier between the physical and spiritual dimension, revealing the unseen laws of the universe within a fantastical, page-turning thriller. The Seers is not just a novel, but the introduction to a new fictional platform called “Scilestial Fiction” (the combination of words: Science and Celestial). This first book offers not only the proposition that science and spirituality coexist on opposite ends of the same spectrum, but also quantifies historical-religious terminology into its scientific counterpart with trans-dimensional law explanations. This fast-paced story blends classic genres: part apocalyptic and part detective story; but it doesn’t end there, Kaczkowski has successfully combined his mystifying thriller with The Seers’ Handbook, which is used to help the reader understand this new world. The Seers provides a multi-media experience that leaves fans with an exciting and captive narrative that continues on with an interactive digital component. It introduces and submerges the reader and user into a whole new world, providing a boundless fictional platform that is ripe for full exploration. With Original music, illustrations and video links sprinkled throughout the book, the reader truly gets to engage and interact with the creative content. “Real paper book” readers are not left out – the QR code links allow fans to be carried into the cyber dimension, opening them up the the growing multimedia content. Story outline: NYPD Detective John Scarcepho is investigating the murder of dozens of homeless who are left dead with their eyes surgically removed. As he tracks down what he believes is a crazed serial killer, he discovers that he has special powers that he had suppressed as a child. He is drafted into saving humanity by empowering his unrivaled abilities, but self-doubt, temptation, and anger challenge his ability to harness his gift for good. Through the characters’ lives, readers are introduced to the prophets of humanity, known as the Seers. Between chapters, Dr. John Alderson, a well-traveled Seer-physician, shares his inside knowledge and encourages readers to delve deeper by guiding them to sections in The Seers’ Handbook, which makes up the final third of the book. The Handbook contains an in-depth glossary of trans-dimensional law and spiritual concepts, a chapter on Angelology, a study of the human soul with spirit-world photographs (spiritography), soul disease diagnoses, prescriptions for soul healing, and the history of an entire world that – until now – was unseen and unknown. Welcome to the universe of The Seers. Your journey has only just begun.